See Stories and Tall Tales ("N" for nuts section) for a story written by F/Lt Wallace about one of the crews Ops over Germany when their Stirling was shot up by another Stirling injuring the pilot Geoff Shattock. Sgt J M Lando , Flight Engineer. Rudi was the German speaking additional radio operator for the aircraft. He was born in Germany but lived in Winnipeg, Canada. 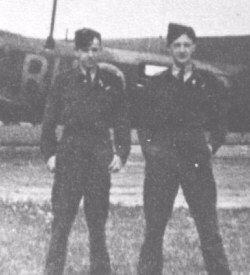 Alan Mercer has contributed some reminiscences and a photo of Sgts White and Langhorn with 'their' B-17 in a book about 100 Group which came out about a year ago: "Even When The Sparrows Are Walking" by Laurie Brettingham. 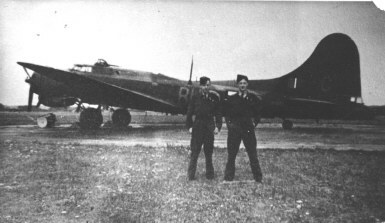 Sgt "Chalky" White and Sgt Freddy Langhorn in front of their aircraft BU-G, Spring 1945. FS Alan MacNeiley Laughland (R103284) - Distinguished Flying Medal - No.214 Squadron - Award effective 3 June 1943 as per London Gazette dated 11 June 1943 and AFRO 1294/43 dated 9 July 1943. Born in Guelph, Ontario, 1922; home there; enlisted Hamilton, 5 June 1941. Trained at No.3 ITS (graduated 19 October 1941), No.22 EFTS (graduated 21 December 1941), and No.1 BGS (graduated 2 February 1942). Later commissioned. Killed in action with No.617 Squadron (Lancaster ED735), 17 November 1943; no known grave; name on Runnymede Memorial. Medal presented (to whom not stated on DHist card), 12 December 1944. Flight Sergeant Laughland has served as mid-upper gunner for a considerable period. He has completed numerous sorties against enemy targets, including Essen, Genoa, Turin and Hamburg. On several occasions he has skillfully fought off the attack if night fighters, four of which he damaged. In August 1942 the aircraft in which he was flying was attacked by four enemy fighters. Flight Sergeant Laughland fired at the first and set it on fire; the second broke off the attack after being hit. Throughout his operational career this airman has invariably displayed high courage and determination. SEE CREWS AND LOSSES for Wellington Mark I C Z1148 BU-? Buried in HEVERLEE WAR CEMETERY. Reference : 3. E. 14. Commemorated on Page 89 of the Second World War Book of Remembrance in the Canadian Virtual War Memorial. Ian Lawson was educated at Brondesbury College and the Regent Street Polytechnic. While employed in the design office of the de Havilland Aircraft Company he enlisted in the RAFVR in 1938 and, at the outbreak of war, had 40 flying hours in his logbook. Made Sergeant from 22 September 1940. He and his crew joined 214 Squadron from 11 OTU Bassingbourne in November 1940 when they were taken over by Pilot Officer Jack Wetherly, who had just qualified as captain. In 1941 Ian qualified as Captain. 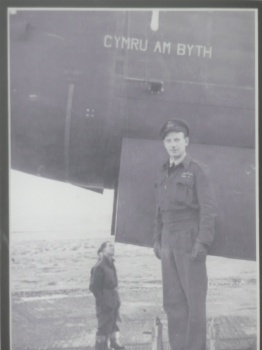 After twelve operations with 214 Squadron he was posted to Malta. Of the three aircraft that set out from Stradishall, his was the only one to arrive safely. In the Middle East he completed another 43 operations with 148 Squadron, attacking Tripoli, Benghazi and targets in Greece, Crete, Sicily and Yugoslavia. Awarded DFC while with 148 Squadron. After a spell at 205 Group he returned to operations in September 1942 as a Flight Commander with 70 Squadron. Here he flew another 26 operations in support of Montgomery's victory at Alamein and subsequent advance. Promoted to Flying Officer from 22 September 1942. Bar to DFC awarded while with 70 Squadron. He returned to England in 1943 to fly a Pathfinder operation to see what lessons could be applied to the Mediterranean theatre. This, his 82nd operation, was his last; it was also his only one not flown in a Wellington. Promoted to Acting Squadron Leader. Promoted to Squadron Leader from 1 April 1944. Promoted to Wing Commander from 26 January 1945. He married Bunty Nash in June1945. They had a daughter and a son. By October 1945 he was one of the youngest Group Captains in the RAF, serving on the staff at HQ Mediterranean Allied Forces. He was mentioned three times in Despatches and awarded the US Legion of Merit and the Air Efficiency Award. Relinquished the war substantive rank of Wing Commander from 1 November 1947 and became Squadron Leader. Given a regular commission, Ian reverted to Squadron Leader rank and attended the RAF Staff College. In the post-war RAF he flew Dakotas, Lancasters, Meteors, Vampires, Hunters, Canberras and the Comet and steadily climbed the ladder of promotion. Became Group Captain from 1 July 1958. He commanded RAF Lyneham in Wiltshire, served in Aden as an Air Commodore and finally was appointed as Commandant of Cranwell. He was especially proud to return to Cranwell as Commandant as he had left it in 1940 as a sergeant pilot. He was awarded the CBE in 1961 and the CB in 1965. On retirement from the RAF he joined the British Aircraft Corporation, where he was thrilled to play a part in the Concorde project. 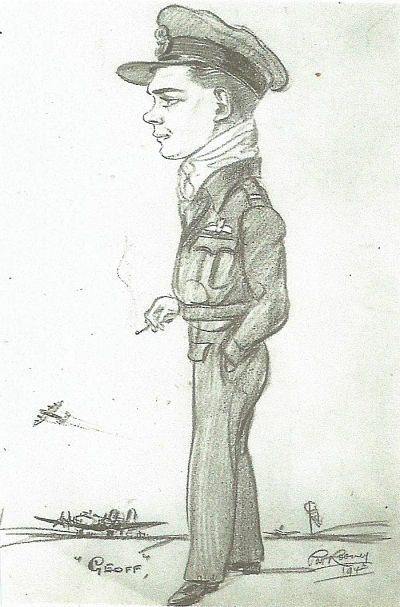 A quiet, taciturn airman in the Stuffy Dowding mould, Ian lawson's joy in flying and kindly interest in the young, coupled with a resolute refusal to do anything he thought was wrong, made him a formidable senior officer, popular with his subordinates, and held in awe by his superiors. Ian died in February 1988 aged 80. RAF Lyneham provided a guard and a fly-past for his funeral at Lacock, Wiltshire. James was working with Valiants at RAF Marham about 1956/57. Son of Augustus Frederick Harry and Ethel Lax, of Hornsea, Yorkshire. After his aircraft crashed into the North Sea off Whitby Yorkshire, his body was never recovered. Son of Rees Kenyon Leake and Sarah Harness Leake, of Hemsworth, Pontefract, Yorkshire. On 22 September 1943 Murray Peden flew as 2nd dickie (pilot) with Squadron Leader Lee in aircraft Z Zebra to bomb Hanover. Son of William George Lee, and of Selina Ellen Lee, of Great Malvern, Worcestershire. Buried in POIX-DE-PICARDIE CHURCHYARD. Reference : Row E. Grave 12. Son of Sydney and Annie Wilson Lee, of Stockport, Cheshire; husband of Irene Lee, of Heaton Norris, Stockport. Frank left Lucton public school and went straight into the RAF. He went to Canada for training. His return was apparently on one of the 'Queens'. He said that some of the card schools held thereon got a bit rough! He had been married for only a few months when he flew his last mission. After the attack on EE959 Frank levelled the aircraft out and engaged autopilot and left the aircraft with his parachute not correctly clipped on, but still descended safely and he ended up in a tree, hanging upside down. His cursing alerted the people in whose orchard he had landed and they came out with a ladder and helped him down. They treated him well and gave him some of their hoarded real coffee. They alerted the Burgomaster of their 'guest' and he and a policeman collected Frank and handed him over to the Luffwaffe, which probably kept him safe. He was asked to identify his crew and was shocked to find that he was identifying bodies. It seems they had landed alive, but...! Frank was then moved to Sagan where he spent the rest of the war. After repatriation, Frank joined the Police Force in Portsmouth, (two of his brothers were in the Police Force) but did not enjoy the job. He then trained as a Teacher, starting at Ascot Heath Primary, went on to be a Headmaster at Priestwood C P School in Bracknell, moved to Sussex University as a Lecturer in Education and then became Director of Education for the Isle of Wight. During his education years he was an Instructor with the ATC, until age and eyesight tests precluded this. He retired from his position as Director of Education and as far as Adrian (his son) knows, he still lives in the Isle of Wight. Adrian last met his father in 1979 and unfortunately has no contact now. Can anyone help with making contact between the two? Squadron. ); Stalag Luft 3 and Long March participant. Countless ATC members received Air Experience (Chipmunks) from him and he relished his lifelong association with the RAF. celebration of Frank's life was held on 9 March 2011 at the Isle of Wight Crematorium." Flew 18 actual operational 'take-offs'. Does not disregard aborted ops,early returns etc. An account in Ian Mackerseys "Into the Silk" describes the amazing survival story of John Lee, a 214 Squadron pilot, who survived a long fall despite the fact that his parachute never fully deployed. This happened on an August 25, 1944 mission to bomb the Opel car factory in Russelheim. Buried in EINDHOVEN (WOENSEL) GENERAL CEMETERY. Reference : Plot JJ. Grave 51. Son of Sidney Charles and Clara Leech, of McAdam, New Brunswick, Canada. George crewed on a Lancaster in 1946. He died on 12 October 2011, aged 86. Buried in BROOKWOOD MILITARY CEMETERY. Reference : 51. A. 10. Son of Archibald Kenneth and Mary Josephine Leitch, of Vancouver British Columbia, Canada. Buried in HEVERLEE WAR CEMETERY. Reference : 2. J. 2. Son of Alexander Levenson and of Agnes Levenson (nee Fretwell); husband of Margaret Macallum Levenson (nee Melville), of Taynuilt, Argyllshire. September 2009 - Abe Levine is still alive and living in Montreal. Leslie Bostock and Abe are still in touch. September 2009 - Leslie Bostock thinks he is still alive but they have no contact with each other. Son of William George and Florence Harriet Lewis, of Penarth, Glamorgan. Sgt Lewis's parents had lived at 31 Dew Street, Haverford West, Wales but later believed post war moved to Penarth. 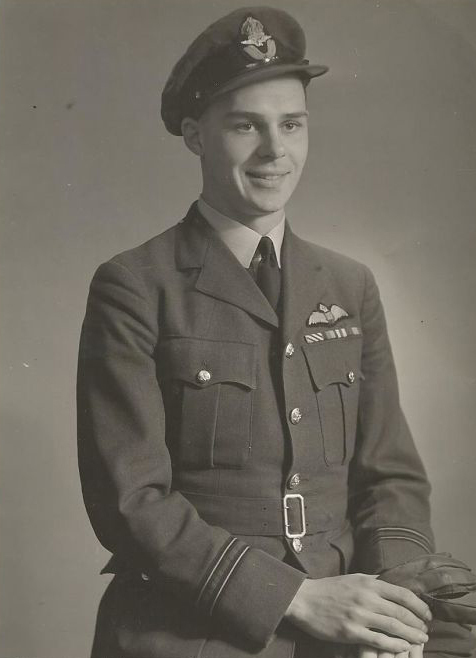 Thomas G. Lewis joined the RAF as Flight Engineer in August 1942. In his family he had lost his uncle R. Bishop who was killed during W.W.1, his cousin Robert Charles Bishop, (also a member of 214 Squadron) KIA 23 November 1940, and another cousin L/Cpl Charles H.B. Lewis in Italy in 1943. Buried in MYNYDD BACH CONGREGATIONAL CHAPELYARD. Reference : Row C. Grave 25. R1614 was presumed lost over the North Sea. The body of FS Lewis was washed onto English beaches. (OTU) Bassingbourne was Sgt C Hitchcock, Sgt J Cattell, Sgt R Brown, Sgt D G Rowland and Sgt D T McHardy. Mervyn left Bassingbourne ahead of the rest of the crew to 214 Squadron, Stradishall for operational experience and the rest of the crew were to follow on. Unfortunately they flew with a Sgt Pilot Cusworth on a raid to Kiel, before moving on, and were shot down over target - all were killed. Mervyn then flew his 2nd pilot raids with Flt/Lt Eddison and crew. When Eddison was promoted to Squadron Leader Mervyn was to take over the crew and aircraft on their return from a raid on Hamburg. 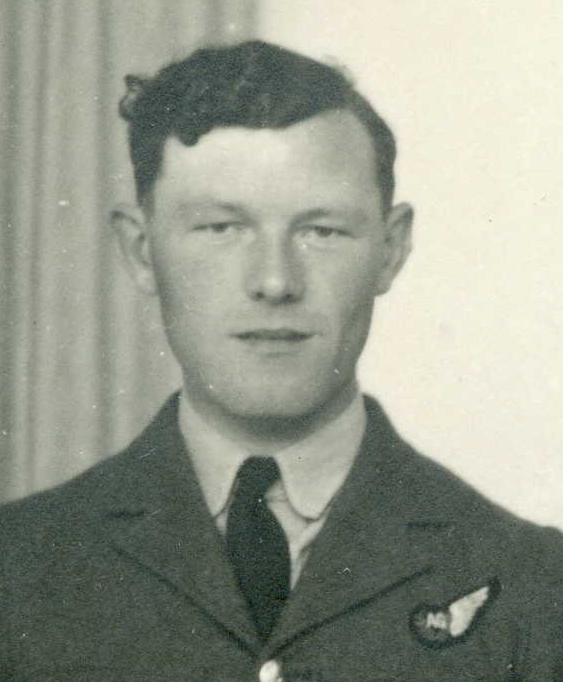 Mervyn was replaced bt Pilot Officer Norman Kirkaldie RNZAF as 2nd pilot. Unfortunately the aircraft was shot down over Holland by a night fighter - all were killed. See Crew of Wellington R1226. Mervyn then took over the crew of Sgt Smiles after they had survived a crash on 29 January 1941. See Crew of Wellington T2841. Mervyn celebrated his 90th birthday in January 2009. He is still in contact with many of the families of the men he flew with. Buried in REICHSWALD FOREST WAR CEMETERY. Reference : 3. D. 17. Son of Mr. and Mrs. C. M. Liddle, of Cape Town, South Africa. In 214 Squadron, B-17 (G?) Q-Queenie ( I know that he previously flew Wellingtons & Stirlings. Later flew Liberators in 220 Squadron. Other crew members were 'Budgie' Budge (New Zealand Tail Gunner). Flew 30 actual "operational take-offs". This does not disregard aborted ops, early returns etc. Geoff was also an instructor at No.29 EFTS, RAF Clyffe Pypard. He had very often referred to his love of flying B-17 Q-Queene, and so it was with extremely great surprise that we all saw at his funeral service at Crownhill that his ashes were finally laid to rest immediately next to a person whose name was 'Queenie' !!! After 214 Squadron he went on to fly Liberators with 220 Squadron - 'bring the troops home' we understand - and then joined BOAC, where he soon took a family posting in Montreal, Canada, flying Constellations, but we all returned to England ( to Brislington, by Bristol ) for him to train with many others at Filton on Boeing Stratocruisers. Having flown Boeing B-17's he continued to fly American aircraft for the rest of his working life, taking retirement in 1975 I believe. He had an annual B-17 crew re-union almost every year after retirement, and I have copies of photos, except that I don't know the names of all shown. He is mentioned in some RAF books by Murray Peden. Some ashes at Crownhill Crematorium, Milton Keynes. Other scatter from a light aircraft by his daughter Jeanne Liles. SEE CREWS AND LOSSES for Wellington Mark I L4345 BU-? Buried in WANDSWORTH (PUTNEY VALE) CEMETERY AND CREMATORIUM. Reference : Block B. Grave 486. Son of Sqdn. Ldr. Joseph Harold Lingwood, R.A.F., and Henrietta Clara Lingwood, of Ashtead, Surrey. His brother, David, also died on service. Various sources infer from CWGC that John and his brother David Lingwood had lived here but neither was really one of ours. The marriage of Joseph Harold Lingwood to Henrietta Clara Schneberger was registered at Wandsworth, 9/1914. Since, during WW1 the Schnebergers changed their surname to Hamilton, that name is shown for the mother of John H Lingwood, b. reg, Kingston 3/1919, and David Lingwood, Kingston 12/1920. Henrietta Lingwood died aged 47, reg. Kingston 3/1930. John Lingwood had obtained a commission in the RAF wef 26/3/1938. On 6/11/1939, in a Wellington L4345 BU  ? 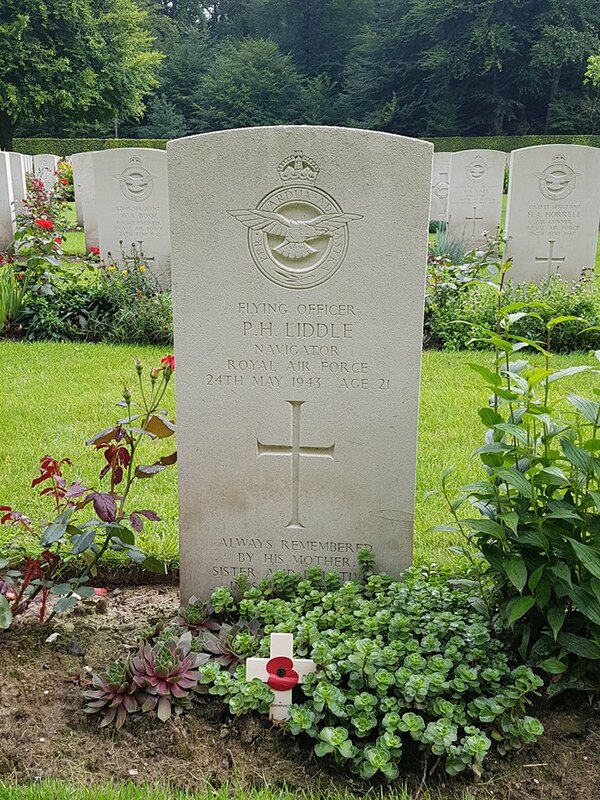 with 214 Sqn., he was undertaking a training flight when, on final approach, he decided to make a go around but the aircraft stalled and crashed in a huge explosion. Lingwood and A/C 1 Arthur Matthews were killed. John had been living at Hylton Cottage, Manygate Lane, Shepperton, possibly with his father and brother but that cannot be confirmed. It is believed that Joseph Harold Lingwood had been a Civil Servant who served with the Honourable Artillery Company in WW1 but resigned his commission during 1921. In 1939 he was in business as a retail tobacconist but became an Acting Pilot Officer, on probation, 10/10/1941. He rose to Sqn Ldr in Admin and Special Duties Branch, 26/7/1944, but resigned that commission, 20/7/1954. Post WW2 he had come to live at Larchwood, The Warren, Ashtead , before his death in The Cottage Hospital, Leatherhead, 19/12/1957. Son of John Thomas Littlewood and Gertrude Littlewood, of Sheffield. SEE CREWS AND LOSSES for Wellington Mark I C R1462 BU-? Buried in HAMBURG CEMETERY. Reference : Joint grave 5A. F. 4-5. Son of William and Jennie Livesey, of Darwen, Lancashire. Albert Livesey joined 214 Squadron as a very young man in November 1940. 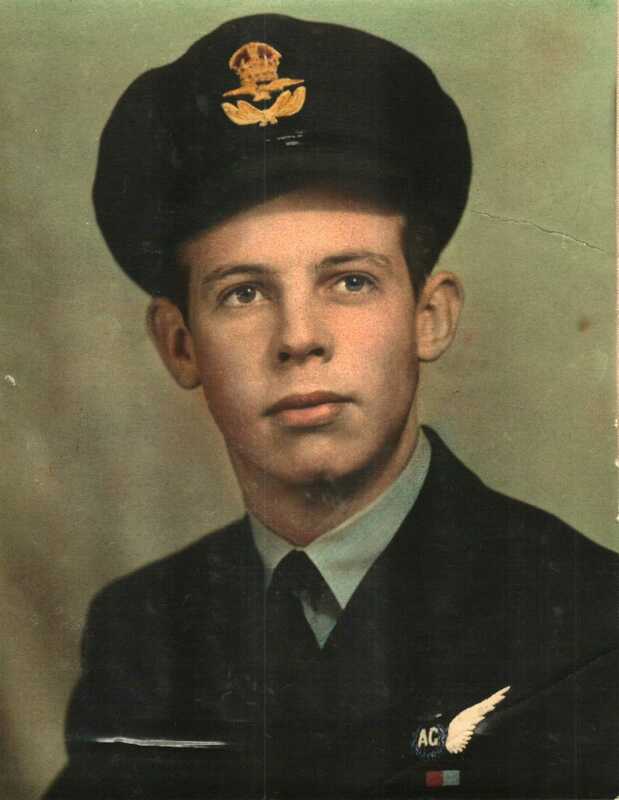 He flew as front gunner in Pilot Officer Jack Wetherly's crew. When Wetherly completed his tour, the crew was taken over by Pilot Officer John Topliss. Buried in THORNTON GARDEN OF REST. Reference : Sec. A. Grave 1496. Son of Enoch Alfred and Emma Lloyd, of Great Crosby, Liverpool. Pilot Flt/Lt Nixey made a crash landing at Martlesham. Plt/Off C Logan, Wireless Operator / Air Gunner. Was part of the first aircrew to be seconded to 215 Squadron on 22 December 1941. He was again seconded to 15OTU for 215 Squadron on 11 March 1942. Ron Belanger (his son in law) has his original Flying Log Book (for Aircrew other than Pilot). Although he cannot interpret all of the entires there appear to be some interesting flights. It contains entries from both 214 Squadron Sculthorpe and 214 Squadron Oulton. His duties were both as ball gunner and beam gunner. The entries are from May 1943 (Gunnery Course) to December 1944 and include 30 OPs 35 Sorties. Some entries include: Ops Saarbrucken Oct 5/44; Ops Nurnberg Oct 19/44; Danish Coast; Ops Cologne & Frankfurt Oct 27/444 etc. Some of the pilots are shown as F/L Puterbough, F/L Morrison and F/O Hill. 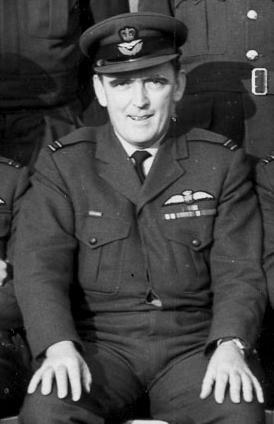 Wg/Cdr Lomas joined 214 Squadron in 1956. His first contact with Victors when he joined the "V" Force (comprised of Victors, Valiants and and Vulcans) in 1960. He flew the Victor Mk1 in it's bombing role for one year before onverting to the Victor Mark 2 which he flew until 1967. In December 1972 he returned to Marham to join 214 Squadron and in 1975 he ws promoted to Wing Commander and made Squadron Commander, leaving one month before 214 Squadron disbanded. Wg/Cdr Lomas had more than 2,000 flying hours on Victors. His next posting was in Norfolk, Virginia USA, where he attended the Armed Forces Staff College before taking up a post at the Strategic Air Command headquarters in Nebraska USA. Sgt Lovatt was born in 1924. He died in 1957 in South Shields, County Durham aged 33 years. SEE CREWS AND LOSSES for Wellington Mark I C Z8953 BU-? Named on the following Memorial : RUNNYMEDE MEMORIAL Panel 47. Son of Herbert and Katherine Loveday; husband of Marjorie Rose Loveday, of Stanmore, Middlesex. Sgt Gilbert Dalton Loveridge, 1388965, Royal Air Force Volunteer Reserve. Nationality : United Kingdom. KIA 3 August 1943 aged 21. Son of Gilbert Harold and Emily Loveridge, of Eastleigh, Hampshire. Source : Norman Loveridge ( brother) and Roy Walsham (neighbour of Norman Loveridge) and CWGC. At No 26 Operational Training Unit in 1943 Gordon crewed up with Pilot Bob Mackett, Bomb Aimer Bill Wilkinson, FO Alan Deadman, Mid Upper Gunner Bruce Taggart and Tail Gunner Doug Houghton. In July 1943 Flt Eng Stan Newton joined the crew and they all joined 214 Squadron at RAF Chedburgh the end of the month. Enlisted on 4 November 1940. After Basic Training he was sent to Toronto Canada in June 1941. Moved to Tuscaloosa , Primary Training Centre, USA. Further Training at Gunter Field Alabama, Selma Craig Field and Eglin Air Field Florida. Authorized To Wear Flying Badge on 6 February 1942. Started training to become an instructor February 1942. He then commenced training pilots at Gunter Field from March 1942 to October 1942. Returned to England October 1942 and commenced training for Bomber Command. Whilst training he completed 6 operational sweeps of the the Atlantic, flying WHITLEY on April 26th, May 2nd /5th/9th/14th/17th 1943. To 1663 Conversion Unit Ruffort June 1943, trained on HALIFAX Bombers. Transferred to 78 Squadron Breighton Yorkshire and was operational from July 1943. 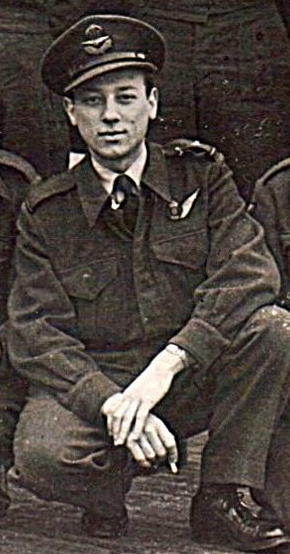 Flt/Lt Lucas left 78 Squadron in October 1943. Sleap 81 O T U November 1943. 93 Group Screen Pilots School RAF Station Church Broughton Derbyshire. July 1944 to October 1944 flying HURRICANES (location not shown in log book). 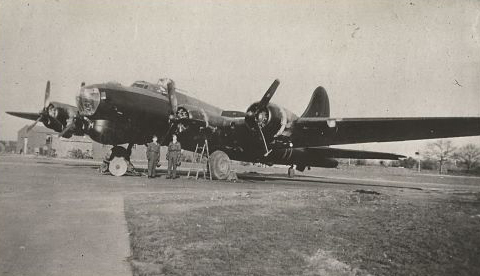 He then transferred to Oulton 1699 Unit flying FORTRESS B17G in December 1944 and was operational from February 1945. DFC awarded and published in the London Gazette Issue 37324 published on the 23 October 1945. Flt/Lt Lucas died on 4 January 2001 aged 82. He was cremated and his ashes were scattered at Sandwell Crematorium Garden of Rest, West Midlands. There will be a memorial dedicated to his achievements to be unveiled in November 2010 in his home town War Remembrance garden, Wednesbury, West Midlands. John specialised in countermeasures RI (radio interference). They carried a German speaking radio operator (who I think was Canadian) and a transmitter system tuned in to the German frequencies. A part of their job was to countermand the German radio controllers' orders. This apparently caused much confusion amongst the German pilots and often resulted in them being sent to the wrong position to intercept the bomber streams. John flew with Jeff Bray 1944 to 1945. John advised that the entire crew survived the war. They flew together for most of their missions. He completed 9 missions on Stirlings (3 Group) and 12 on B17s (100 Group) (total 31). In 2018 John Lyall, is now 94 and still living independently in his home in Perth, Western Australia. In July 1944 the RAAF received a telegram from International Red Cross Committee (IRCC) quoting German information stating May 25 FS Lyall captured, Raoul Trichon `Tom' Lyall. After being liberated Raoul returned to Australia but sadly has since passed away. He previously flew Stirlings with 214 Squadron.